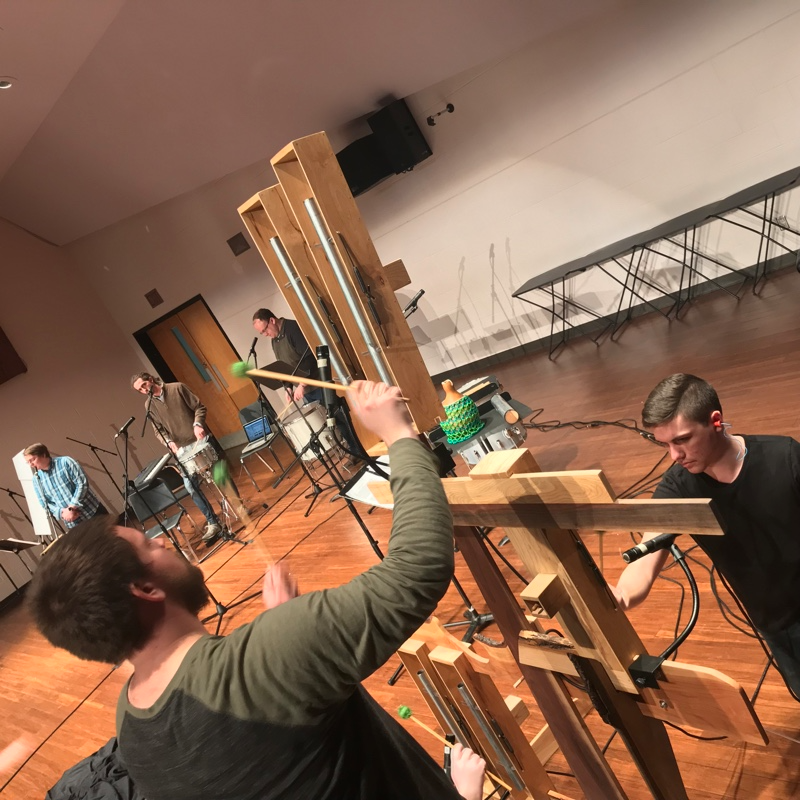 I was recently honored to be invited to perform at the inaugural MOXsonic (the Missouri Experimental Sonic Arts Festival) at the University of Central Missouri (UCM) in Warrensburg, Missouri. My long time collaborator and Max wizard buddy Jeff Kaiser asked me out so we could reunite our duo, The Choir Boys, for another bite of the apple. Given Warrensburg’s proximity to Kansas City - the birthplace of Charlie Parker - there was no way I wasn’t taking an alto sax with me. There’s something mythical about KC in my mind; it was a bit like climbing up the holy mountain. Wow - it all started HERE. An hour southeast of KC is Warrensburg, the home of UCM and - in particular - the Center for Music Technology in the Music department. 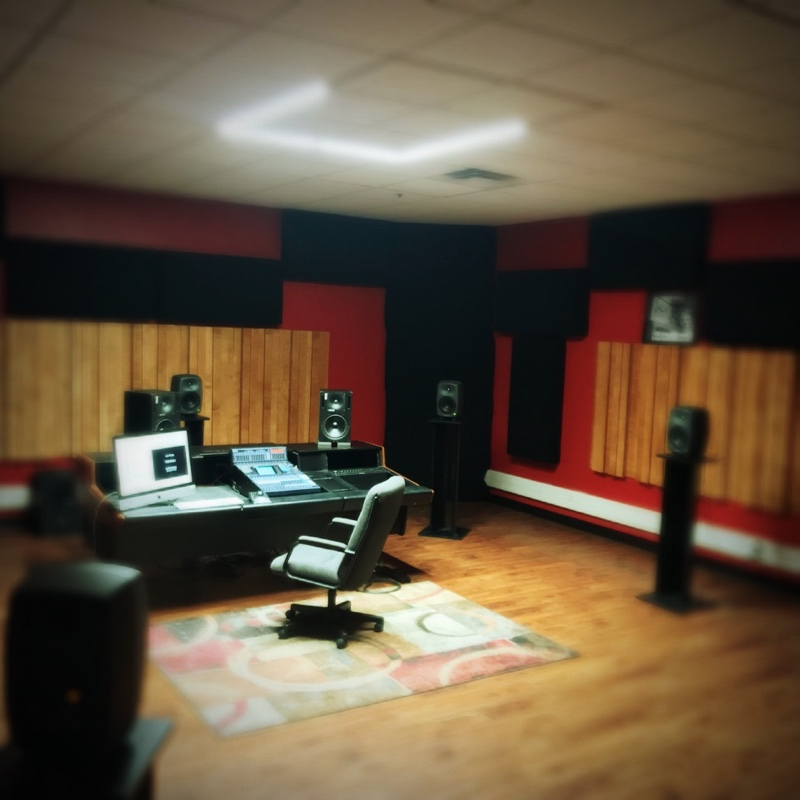 We’ll be talking more about this school in later articles, but let’s just say for now that the department is state of the art, with an ever-increasing set of studio rooms equipped with top-of the-line technology for recording and producing music and multimedia art. 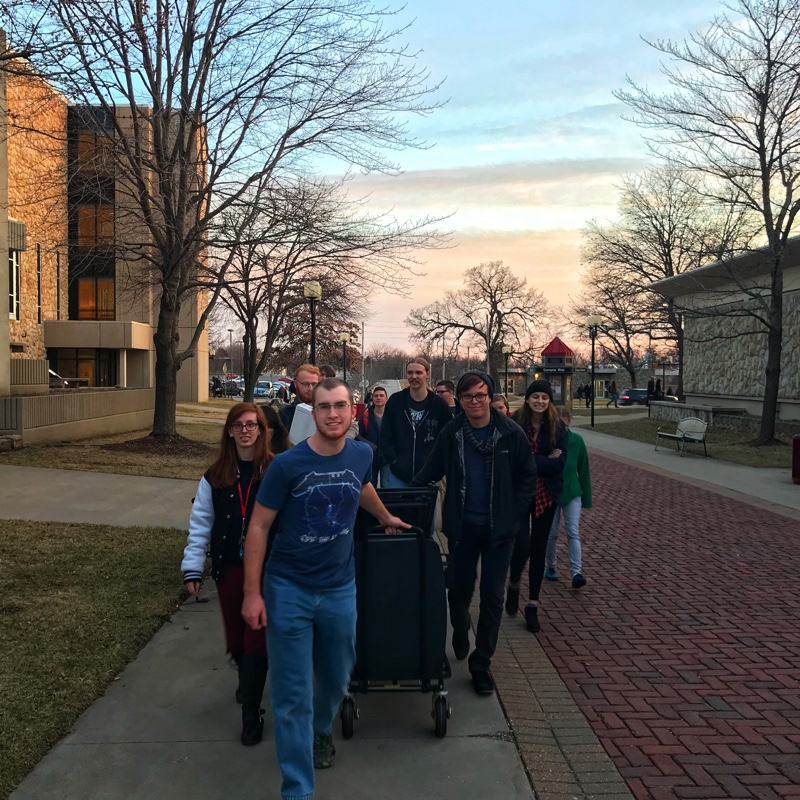 “When I visited UCM to interview for the professor of music technology position, I immediately saw the potential for a festival and included a discussion of that possibility as something I wanted to do in my interview. Near KC, but not geographically spread out, it seemed a great place to gather, present music, papers, and socialize. It is awesome to see that idea realized. For this our first festival, we wanted to be surprised by proposals, so we included a note in the proposal portal that actually said, ‘surprise us,’ and people did! One of the things about the co-directors (myself, Elisabeth Stimpert, Eric Honour), is that we have great overlapping areas of interest, while also having distinct circles of musicians that we run in. 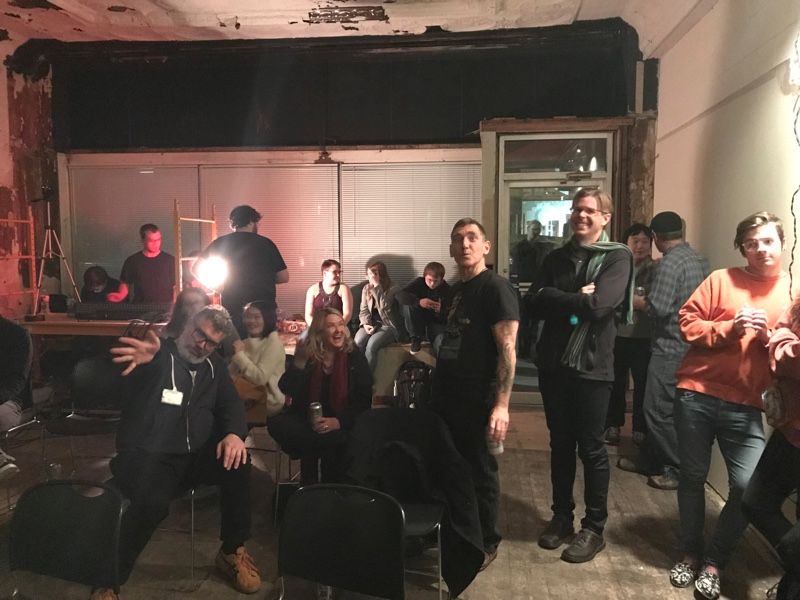 That led to the call going out wide to improvisors, composer/performers, performers that wanted to showcase works, and composers that wanted to bring in ensembles: and we want to do even better next year. 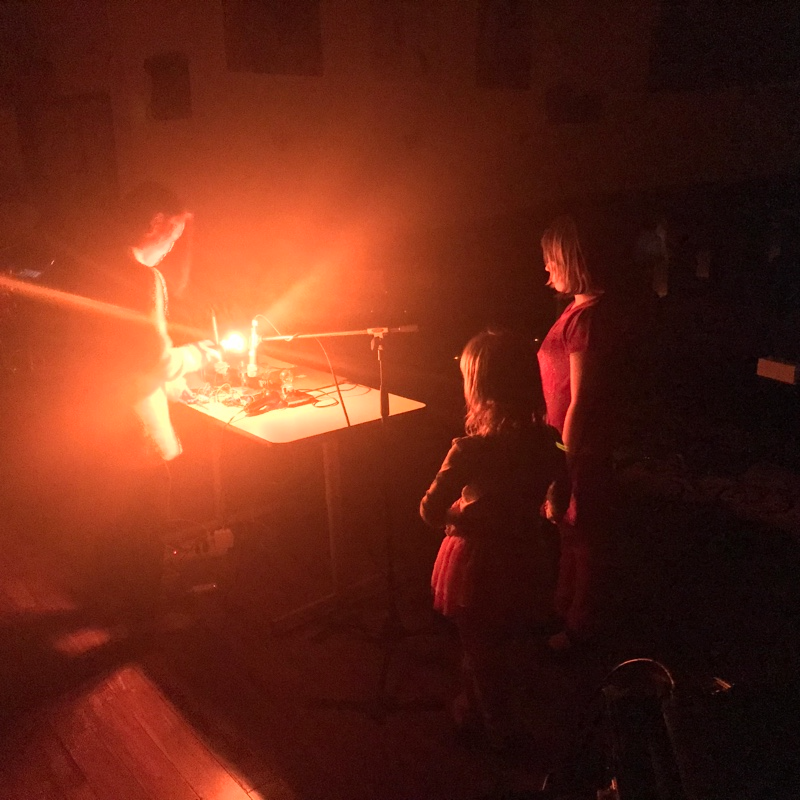 Our priority for the main stage and nightlife was to have self-contained performer/composers/improvisors with interactive technologies, and we also wanted to provide a fantastic listening environment for fixed media works in a dedicated listening room. 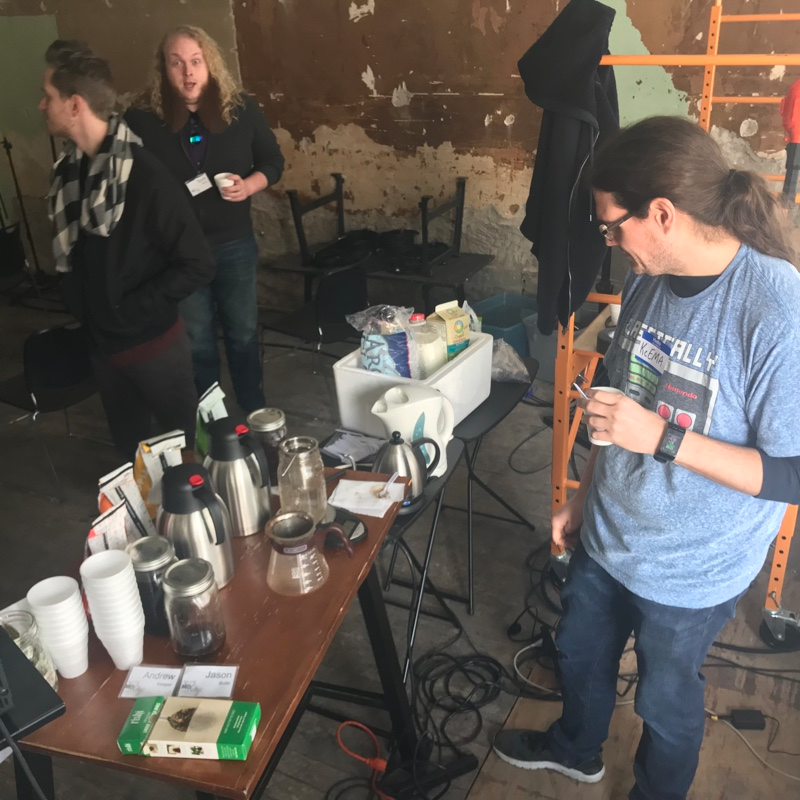 I think we had a win on all fronts, and in addition: KCEMA (Kansas City Electronic Music and Arts Alliance) served up coffee drinks in a 5.1 listening environment they brought to our downtown venue. There were several standout performances for me, although I almost feel a bit guilty about thinking that any of them stood out, as overall the standard was extremely high. I really enjoyed hearing Amy Petrongelli from the ensemble Khemia ( based in KC ) negotiate the Berio Sequenza for Soprano - at least that’s what I thought it was, but not mentioned in the program. She sounded amazing, in any case. 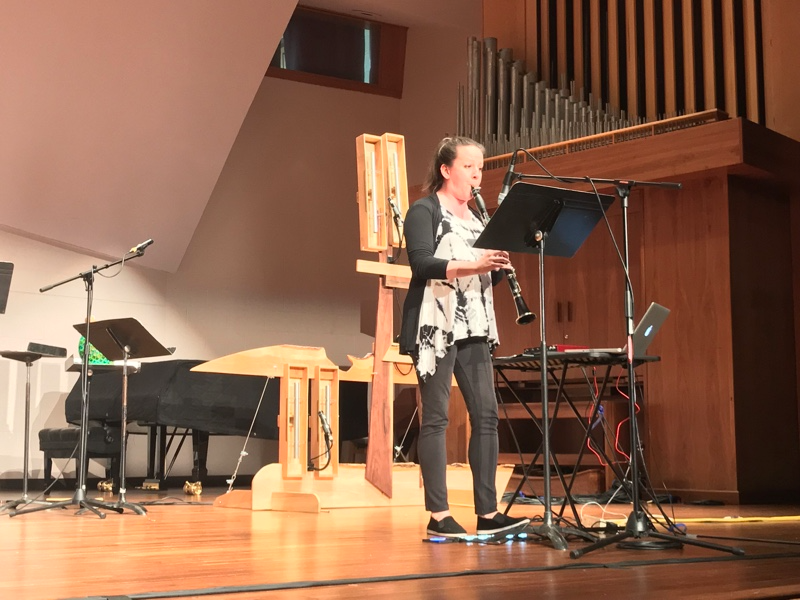 Elisabeth Stimpert, who is a really phenomenal clarinet player on the faculty at UCM, and one of the organizers of the festival, delivered a very powerful performance of a piece for clarinet and electronics by composer Christina Butera. Lots of organic clarinet processing routines and intriguing harmonic structures. 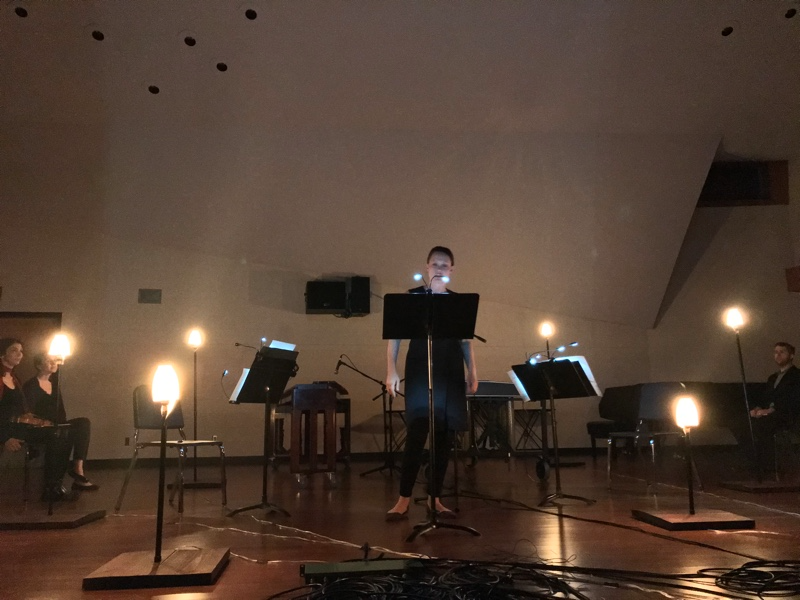 Also of particular interest to me was the incredible work done by composer Adrian Artacho and saxophone player Joel Diegert. 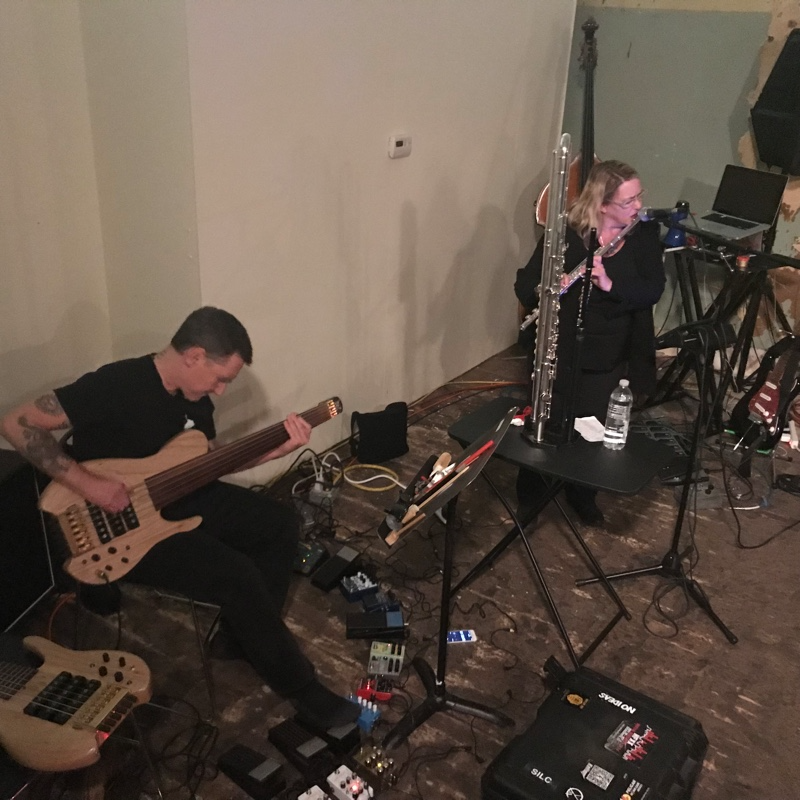 All based in Max, the performance was a series of sketches which have come from their working together to mine the possibilities of processed soprano saxophone. I strongly recommend checking them out if they show up near you. 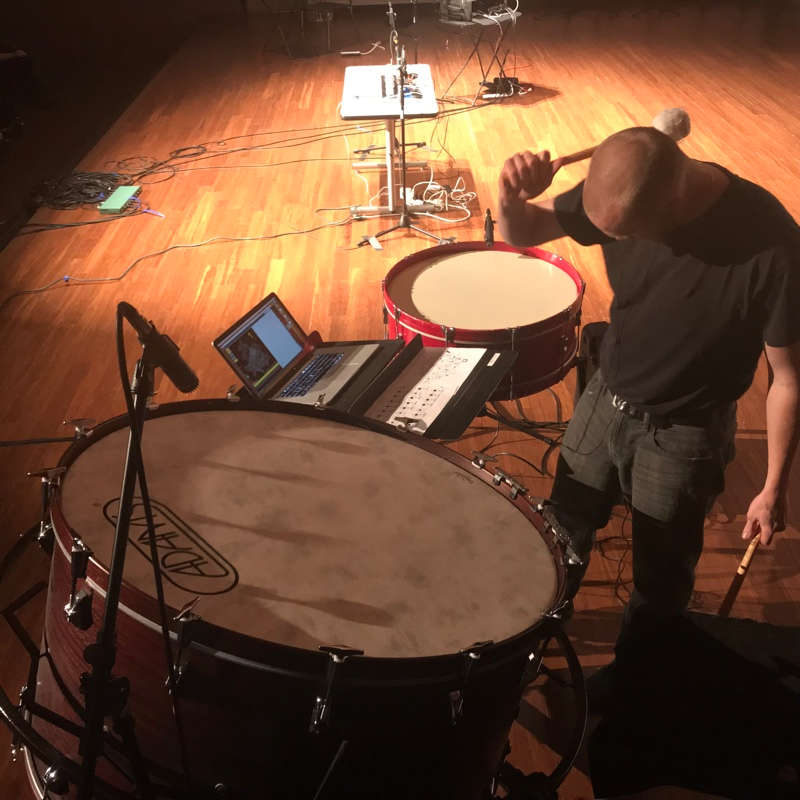 The concerts also featured several very interesting (and loud) works for acoustic, amplified, and processed percussion. Faculty member Alex Smith is a great drummer. It’s not often you get a good mix of percussion pieces in a larger festival like this. The breadth of styles and setups is really one of the giveaways that Max is a large part of the collective toolset employed by performers at the show. 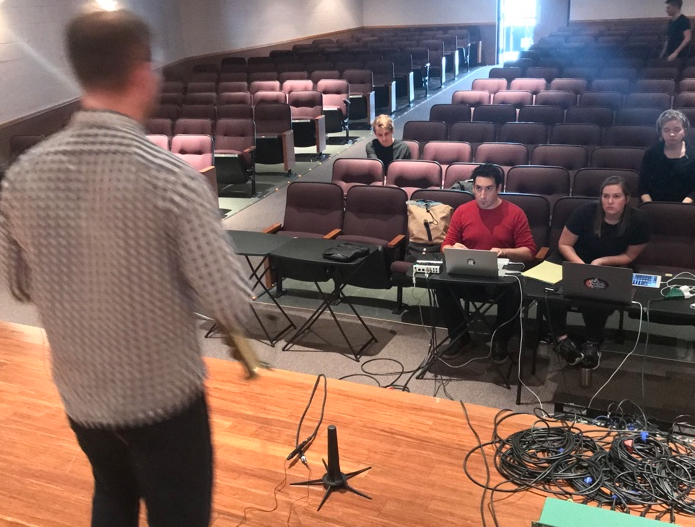 Indeed, the students doing music degrees at UCM get Max going right from the start, along with all sorts of other professional tools. There’s something very comforting about being around so many Max aware people, and the students organizing the stage setups and sound reinforcement/mixing all did an amazing, pro job of it. What a pleasure to have you at our inaugural MOXsonic, Andrew! Thank you so much for the article. Any sound or video of events? Hi Jeff, There were some video and audio recordings, it will be up to the individual artists to decide what they do with them. Finally catching up here...nice documentation Andrew, and great to see everyone there, looks like it was a blast! The group photo reminds me of the VU Fest shot we took. What it's all about people! !